Here the positive role of traditional ayurvedic and herbal and home medicines has been proven beyond doubt. This volume brings you an overview of specific problems-backed by not only Ayurvedic Remedies but also home remedies, along with dietary restrictions and do s don ts. From flatulence, constipation, cirrhosis of liver to hepatitis, jaundice and common cold it covers a broad range. For instance how a peptic ulcer is formed, and how cold milk is useful in providing relief. Or what are the problems accompanying dysentery, and how the Bel fruit is effective in its treatment. 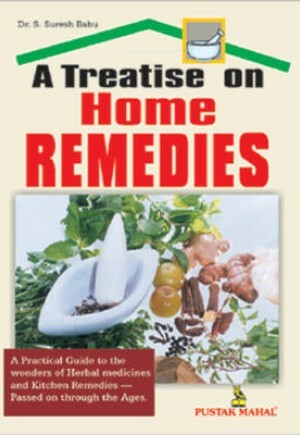 The unique feature of the book is the treatment through Home Remedies- items which we ve always had at hand in our kitchen like haldi,methi, coconut, cumin(jeera), clove, castor etc. What's more additional treatment in form of medicated massages, Hydrotherapy through fomentation methods and Home Beauty aide also bring useful tips to a healthy and happy life.